My name is Pandit Mami, the CEO, and Founder of Ngoyeaa , a need-based financial aid, and mentorship initiative currently based in the community I grew up in Sierra Leone. My team and I are raising this fund to sponsor the education of students in our program. We provide them with textbooks, school supplies and uniforms, tuition, after-school tutors, and other miscellaneous educational expenses. Also, we defray the medical and welfare cost of some of our students. Furthermore, we have a strong mentorship caveat to our program. We run bi-weekly career impact lectures wherein we invite inspiring young people from all works of life to motivate beneficiaries. And some of the funds go toward keeping that alive as well. We believe in the power of mentorship to make obtaining an education a holistic experience. Moreover, our field coordinator has their class teachers on speed dial, and she pays a regular visit to their schools or institution of learning to make sure they're staying on track. 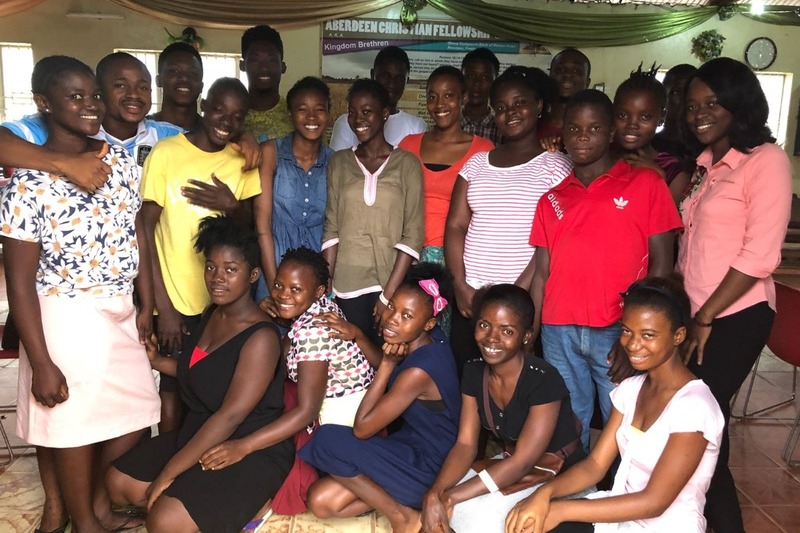 Throughout its first two years in operation, the Ngoyeaa Back to School Foundation has made tremendous strides in offering education and mentorship to over thirty students in the Aberdeen community of Freetown, Sierra Leone. Entirely sustained by volunteers, our mission has been to change the narrative of a community plagued by teenage pregnancy, prostitution, and gang violence, breathing hope into our students through cross-cultural learning, mentorship, financial aid, and access to technology. Because of this structure, all of our proceeds can go directly toward bettering the lives of our beneficiaries. As an organization, we are committed to sponsoring each student until the completion of a four-year university degree. At present, five of our beneficiaries have gained admission to the University of Sierra Leone, with fields of study ranging from Political Science, Business Administration, Information Technology, and Economics. Earlier in 2018, the Foundation made the cover photo of the Colby College alumni Magazine , in addition to receiving prominent recognition in the annual issue of the UWCSEA foundation blog. More significantly, the Foundation is now officially registered as a community-based organization with the Freetown City Council and is currently in the midst of applying for 501(c)(3) status in the United States. Over the course of the not-so-distant future, we hope to grow this pilot program into a nationwide initiative, affording each student the opportunity to transform his or her life through the power of education and mentorship. True to the meaning of Ngoyeaa, we believe in the power of community in making this life beautiful, for when one person succeeds, we all succeed. We would be honored if you would join us in our campaign to change these young lives. You can check our regular update on our Facebook page. Thank you for supporting the work we do and feel to reach us to us via our webite or our Facebook page.